You've already seen new devices, new mobile OS's, a new open-source platform, and of course, Webroot SecureAnywhere this year in Barcelona. But you probably missed the stranger devices and booths. Fortunately, PC Mag didn't. And they made a top 10 list. Here are three of the weirdest. Click the aforementioned link to see the rest! 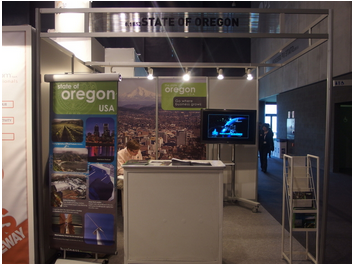 In an event dedicated to mobile devices and innovative technology in Spain, how does the Beaver State fit in? Your guess is as good as mine. Don't get me wrong. The French-originating sport of moving fluidly from one spot to another is cool. So is HTC's new flagship phone-the HTC One. That's about the only connection I can make between the two. Not to be confused with Samsung's ultra-popular phone line, this is a avatar-based chatting app with a specific focus-flirting and dating. I didn't realize how popular avatars are. 22 million users already. Wow. And now you've seen it all. 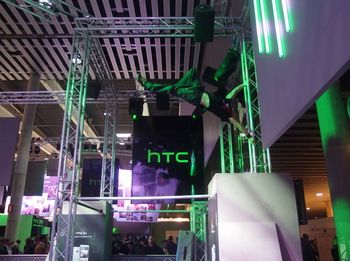 Another year, another great Mobile World Congress in Barcelona! Till next year!